San Rafael resident Mark Gore knew coming in that he had a chance to wrap up both titles. That’s exactly what he did. 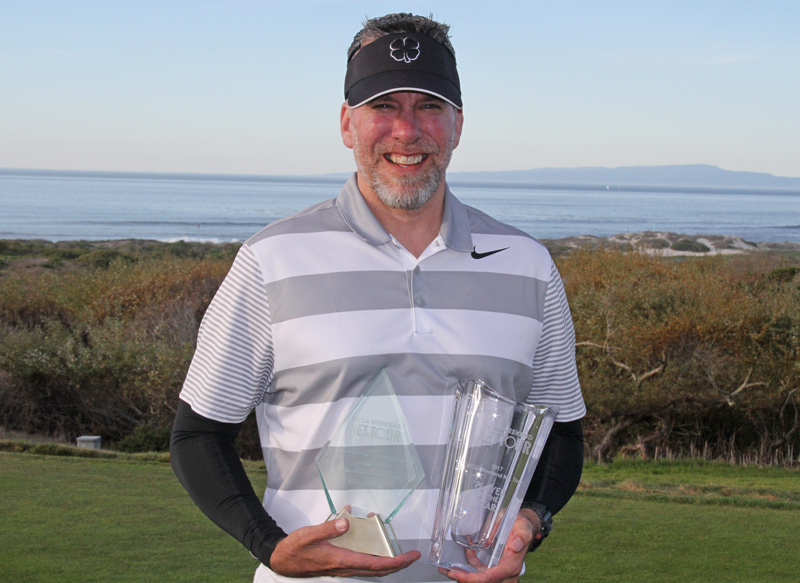 Gore, a member at Peacock Gap Golf Club, captured the inaugural NCGA Weekend Net Tour Championship and WNT Player of the Year honors on a sunny winter Sunday at par-72 The Links at Spanish Bay. The 56-year-old carded a final round 8-under 64 to come in with a 36-hole total of 3-under 140, defeating runner-up Brian Panter of San Francisco by three shots. While he was a good bet to win Player of the Year, Gore had entered the final round of the Tour Championship five strokes behind Panter and David Davis after a 76 in Saturday’s first round at Poppy Hills GC. One of only two players to shoot in the 60’s, Gore was on fire. Playing Spanish Bay for the first time, he’d post two eagles and eight birdies to go against three bogeys and a double-bogey. Ernie Shelton of Sebastapol had a 67 to finish T-13. Gore would finish the season with 4,460 points. Placing second in the points standings was Abraham Attouleh at 2,867. Third place went to William Alexander at 2,858. Helping Gore along was partner Dan Murphy. In team events, the two notched a first place finish and two second places. The 2018 Weekend Net Tour season will get underway in February.